If your Alaska bucket list includes a night of aurora borealis gazing, there are a few things you must consider. There is no way to plan a trip with a guaranteed northern light spotting, but you can increase your chances if you take the proper measures. From planning your trip to best practices once you arrive, these tips will help give you your best shot at a night filled with green and purple skies. 1. Step number one is to plan your trip for the right time of year. There are many misconceptions about weather, sunlight and the aurora in Westmark’s northern locations. People are often led to believe that it’s always cold, dark, covered in snow and that the aurora comes out every night. In fact, during summer months we experience a real summer when the sun almost never sets, and it becomes (relatively) warm. Because it rarely gets very dark in the summer, it is near impossible to set eyes on the aurora. It might be cold, but if you want to see the northern lights, plan your trip between September and April when it gets dark enough to view them in their full glory. 2. Pick a location that’s plenty dark. You can stay at your Westmark Hotel and hope to see the lights from your window, but for optimal viewing, you’ll want to get as far as possible from light-polluted skies. Locals will all have their favorite spots and recommendations but if you prefer to know where you’re going to go now, check out these prime viewing locations. We also recommend following #NorthernLights on Instagram and making a note of geotags close to where you’ll be staying. 3. Check your packing list! For the best chance to see a good show, you may need to stake out for a while at your viewing location. Make sure you pack plenty of layers, hand warmers and hot chocolate. There’s nothing worse than missing the lights because you had to retreat inside to the warmth. 4. Once you arrive, check the aurora forecast and make sure you plan your stakeout for a night of heavy activity. You don’t have to leave it all up to luck, though. 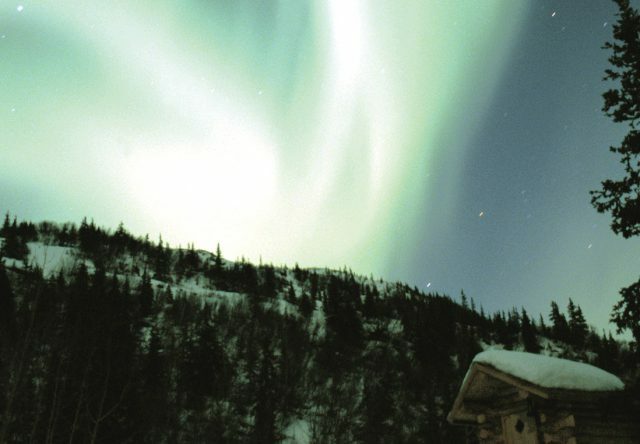 When you arrive, tell the front desk that you want to see the northern lights. Anytime the lights become active, the front desk will call your room. That way you definitely won’t miss them, no matter what time they decide to show up. There’s no way for us to guarantee that you’ll see the lights when you’re in town, but if you follow these guidelines, you’ll be giving yourself the best possible chance! Once you’ve checked off this list, brush up on these photography tips to snap a photo that captures all the magic you’ll feel when the lights start to dance.